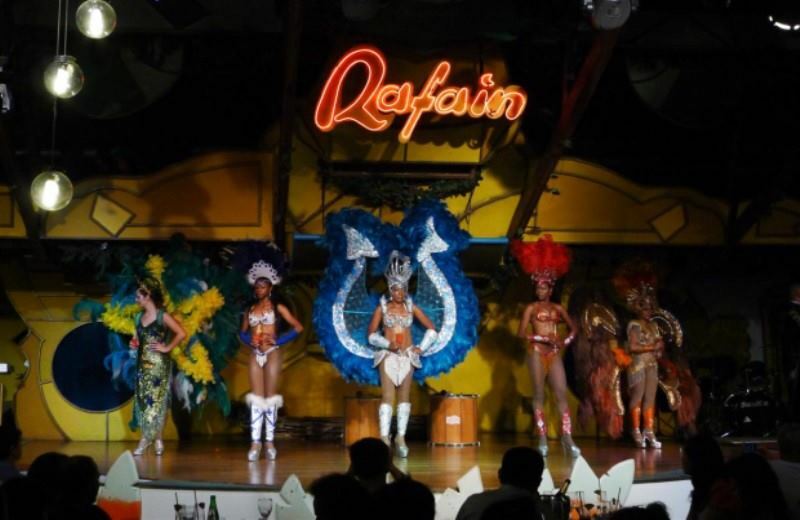 Our Cena & Show at Rafain Cataratas is the best way to experience the rich Latin American gaucho culture as well as try a typical Brazilian churrasco. 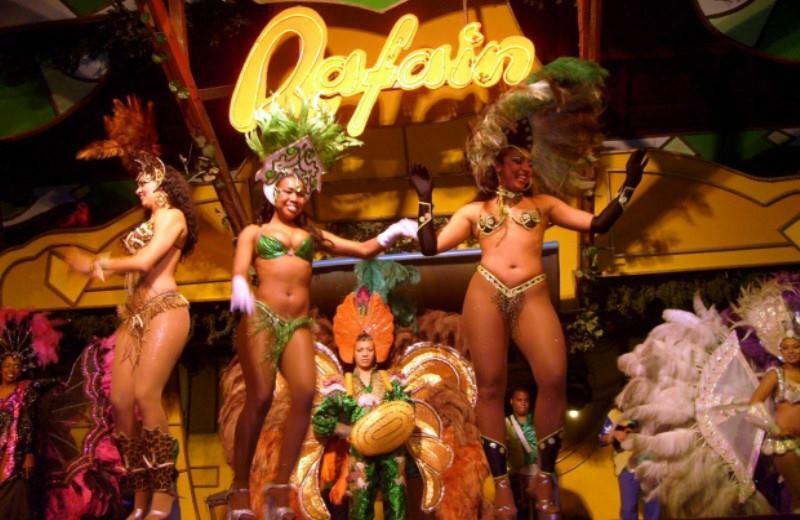 Listen to the music and watch the dance from eight different Latin American countries, all the while tasting incredible foods from all over the world. Located in Foz do Iguaçu, the Rafain restaurant provides over 200 gourmet dishes for you to try, and guarantees an unforgettable night. - Starting at 19:50 pm. (subject to change according to the location of the hotel). 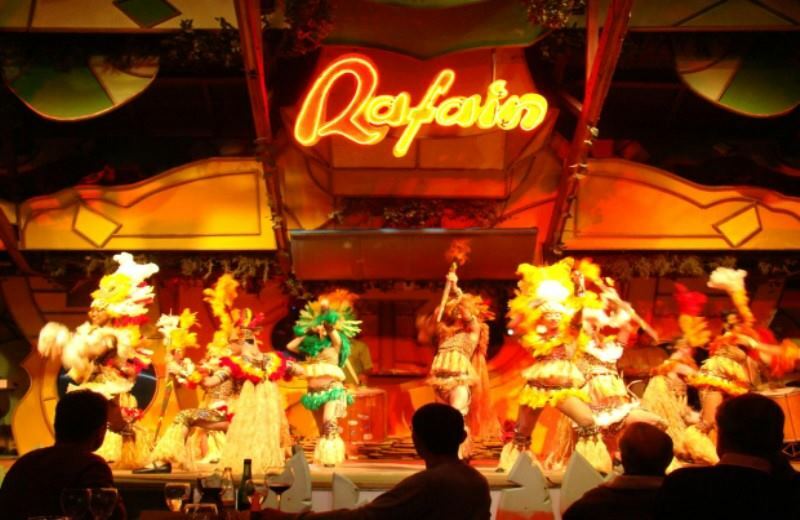 We’ll get our Cena & Show at Rafain Cataratas tour started by picking you up directly from your hotel in the evening and heading over to the Rafain restaurant, located on the Brazilian Side of Foz do Iguaçu. Once we’re in the restaurant, the night begins with a traditional Brazilian buffet dinner called churrasco, made up of over 200 gourmet dishes. You’ll be able to choose from a huge variety of foods, including Arabian, Japanese, Italian and Brazilian cuisine, as well as an asado and over fifteen different types of meat. All of this is followed by a selection of delicious desserts. 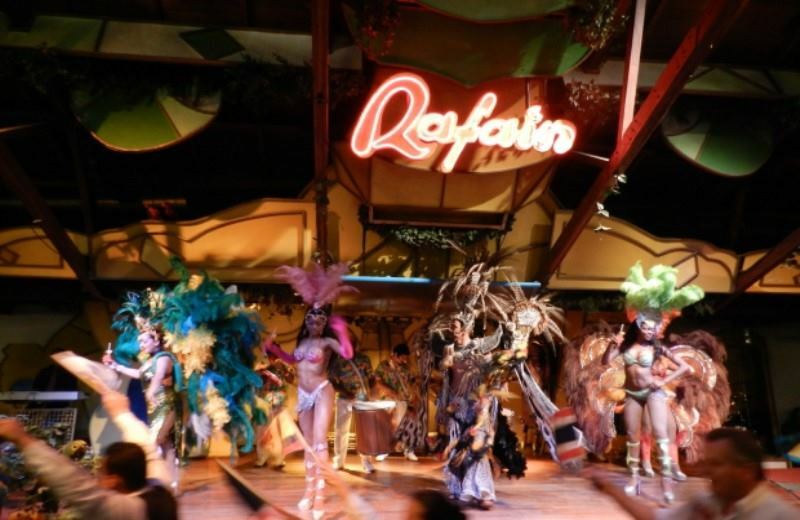 During dinner you’ll also get to see the spectacular Rafain show which will take you on a journey through Latin America. The show explores the gaucho culture of eight different countries and shows you some of the typical music and dance of Paraguay, Bolivia, Peru, Chile, Mexico, Uruguay, Argentina and Brazil. You’ll also see some stunning tango and gaucho performances from the north of Argentina, as well as some capoeira, samba and more. 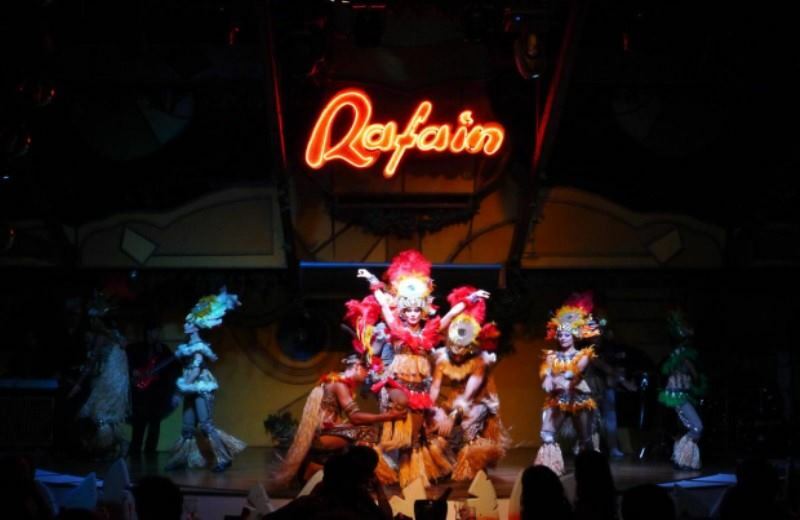 The Rafain boasts 45 talented, professional artists who show you the true gaucho culture of Latin America. If you are looking for what to do in Iguazu, you should consider booking the tour Cena & Show At Rafain Cataratas. It´ll be an experience you won´t forget!